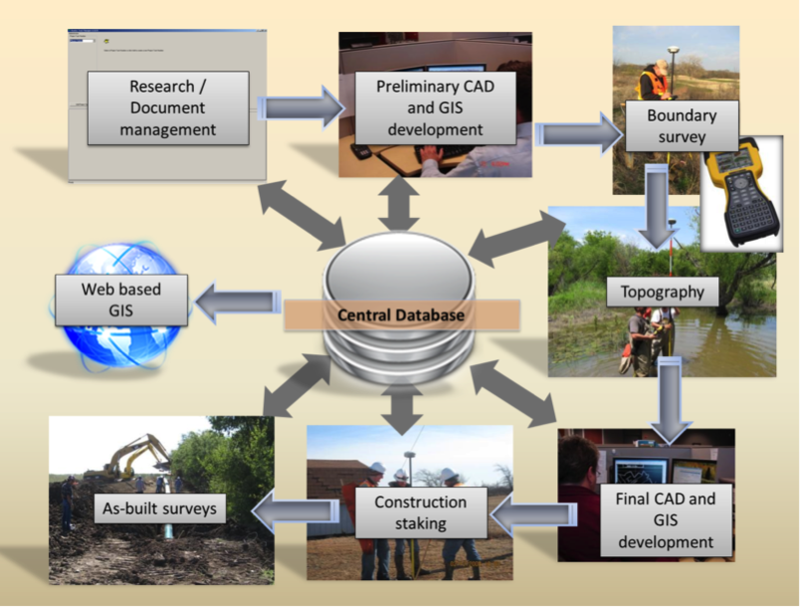 GIS is a representation of reality that has the remarkable ability to answer questions about itself. It can tell you almost anything you want to know about what you’ve done, what you’re doing or what you intend to do, but there are a couple of catches. For example, you have to point it at the information it needs to answer your questions. And if you want the answers to be right, the information has to be right. Here’s another catch, GIS will only do what it’s told if the software and hardware are in place to carry the information you asked for in the form you want to see. This presentation is about some real-world examples of the processes necessary to achieve these things. One of the case studies involves a GIS for the management of an international utility and another is about right-of-way acquisition for and construction of a gas gathering pipeline in Texas.